The past week has presented a whirlwind of Senate health care bills, including ideas both new and old. While some believe that we may be experiencing a break from the efforts to repeal and replace the Affordable Care Act (ACA), we at CDHP have reason to believe that this work is not yet done. Indeed, a vote could be held sometime this week on a version of the Senate bill. As we reported last week, a revised version of the Better Care Reconciliation Act (BCRA) was introduced in the Senate. Among the changes from the previous version were the preservation of some of the ACA’s taxes on the highest-income earners, additional money towards opioid addiction treatment efforts and “high risk” pools within states — as well as potential inclusion of the so-called Cruz amendment. The Cruz amendment would allow insurers to offer plans that don’t adhere to the ACA’s benefit and consumer protection requirements, making coverage less meaningful for many. How? Less expensive plans would likely lack essential benefits like children’s dental coverage, while plans would be significantly more expensive for those seeking comprehensive coverage options or those who have pre-existing conditions. To make things even more confusing though, the Senate requested Congressional Budget Office (CBO) scores with and without the Cruz amendment, implying they were considering both options. It is critical that advocates remain engaged with their senators and governors and encourage their networks to do the same. Thursday, the CBO released a score of the revised bill without the Cruz amendment, which, still preserves BCRA’s most concerning provisions. Medicaid funding would be cut by $756 billion over the next 10 years and states would be empowered to eliminate any of the Essential Health Benefits (pediatric dental happens to be one of them). In addition, mandates and incentives for providing individuals and families with affordable, comprehensive care would also be cut. In fact, the CBO maintained their estimate that BCRA would cause 22 million Americans to lose coverage by 2026. All in all, oral health care and coverage would become more expensive and more difficult to access. 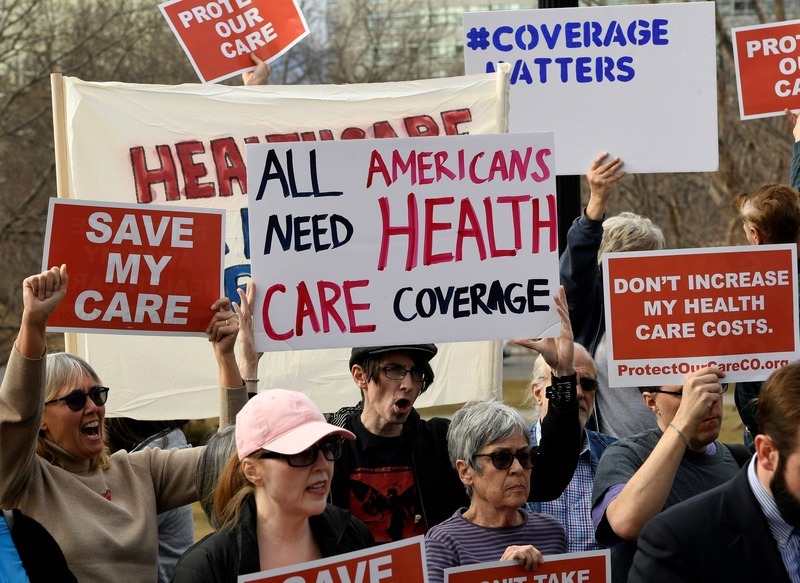 While it initially seemed the bill did not have enough support in the Senate to survive a procedural vote, Senate Republicans revived a 2015 proposal Wednesday to repeal the ACA without an immediate replacement. This bill, called the Obamacare Repeal and Reconciliation Act (ORRA), was also scored by the CBO, which estimated that it would leave 32 million additional Americans without coverage over the next 10 years. If ORRA becomes law, many people would find dental care and coverage far more expensive and inaccessible. With increasing pressure from the Administration to act before August, Senate Republicans may vote on a version of one of these bills as early as this week. It is, therefore, critical that advocates remain engaged with their senators and governors and encourage their networks to do the same. The message should be clear: great strides have been made to improve access to oral health coverage and care for children and families, and any efforts by our elected officials should build on this progress rather than pull the rug out from under them. For more information on these topics, phone call and message templates, and other useful materials, visit our toolkit and follow us on social media.